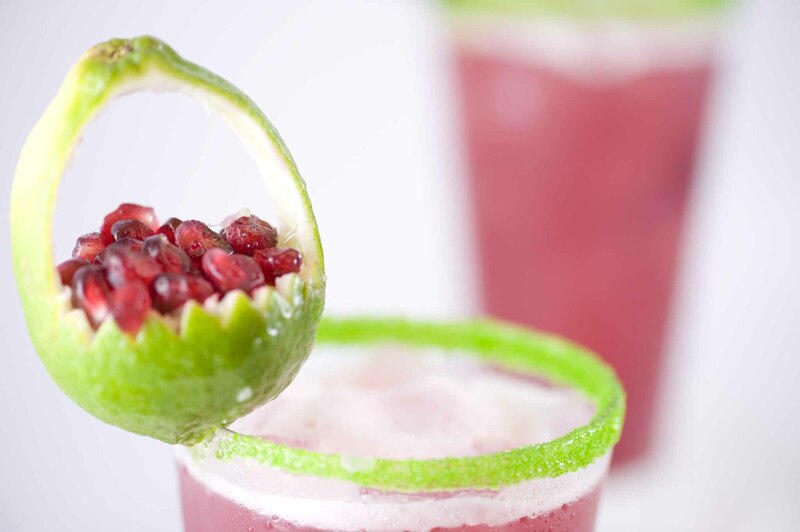 Nothing can look so refreshing ……..a nice chilled glass with a bright green rim and a dark pink drink…. 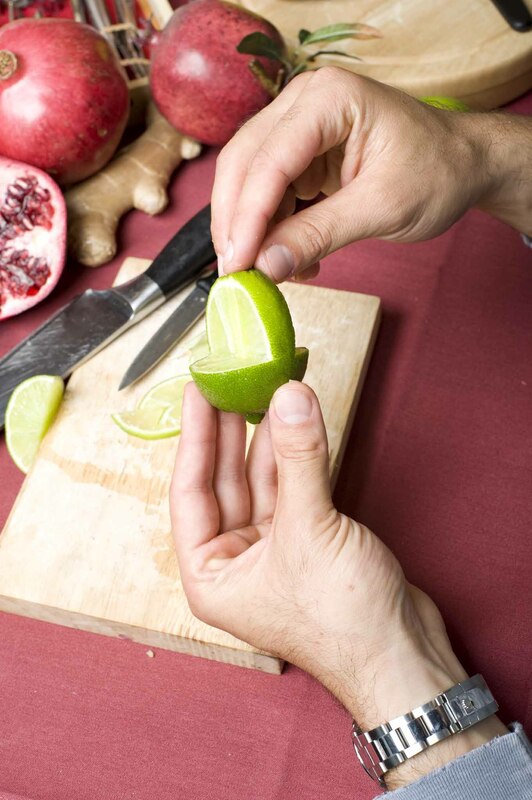 The essence is dominated from the spice/acidic characteristic of the ginger. 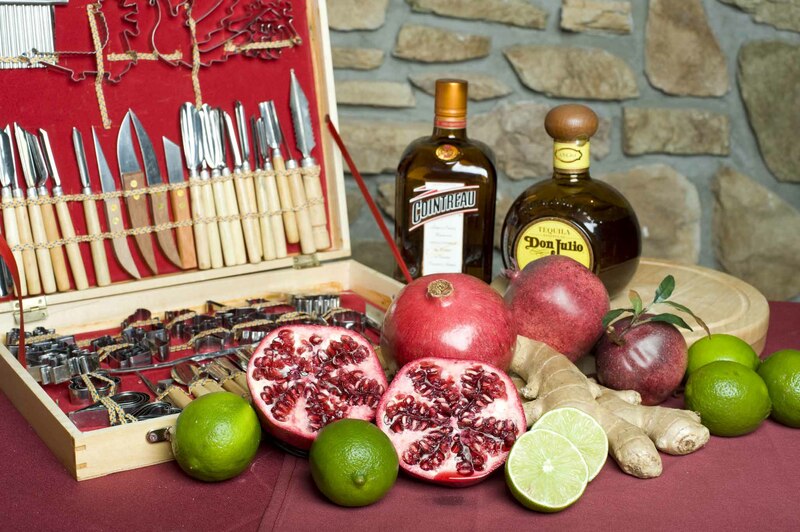 The mouth is a mix of opposite sensations of spice (ginger) and Sweetness (pomegranate), with the nice kick of the base spirits! 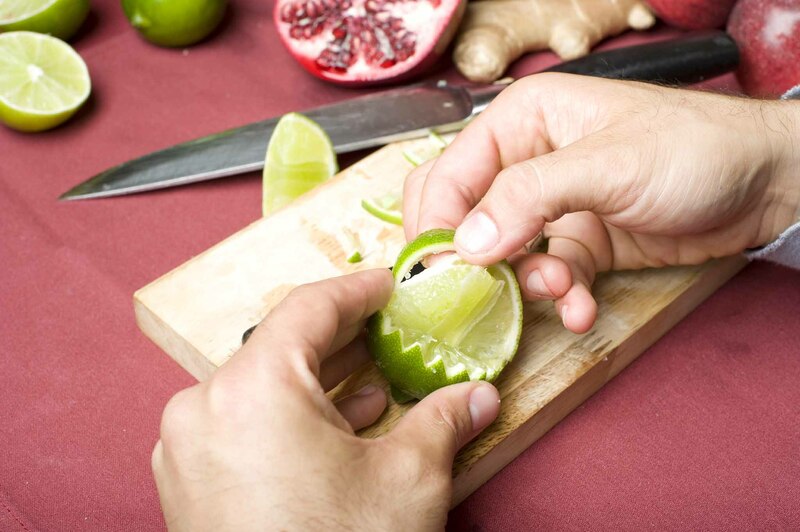 In a mixing glass place a pinch of fresh ginger root. 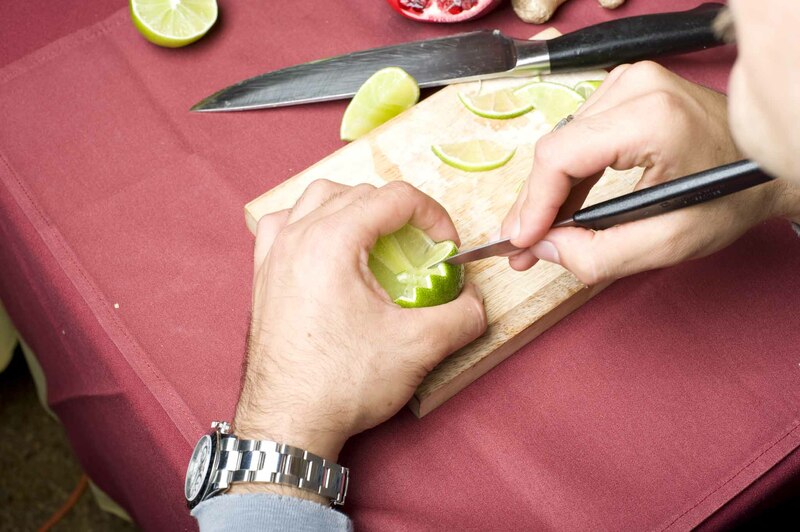 Add the ginger syrup and muddle it softly ….the ginger has a very strong flavor and you don’t want to overdo it! 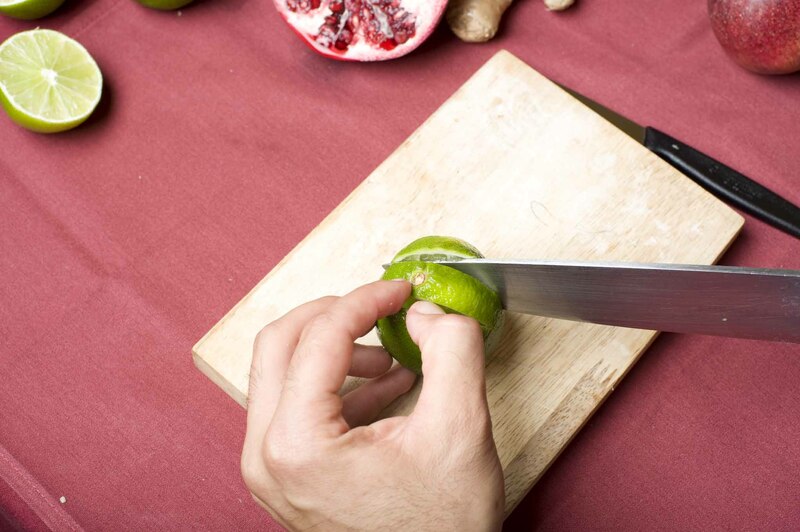 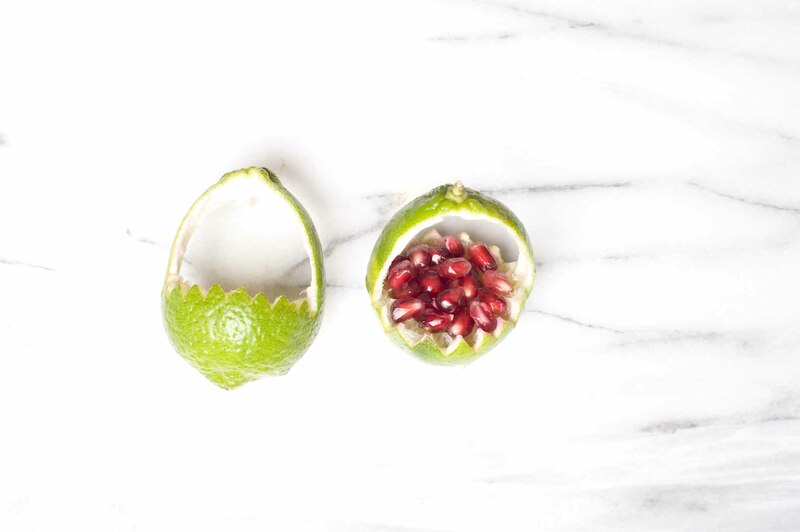 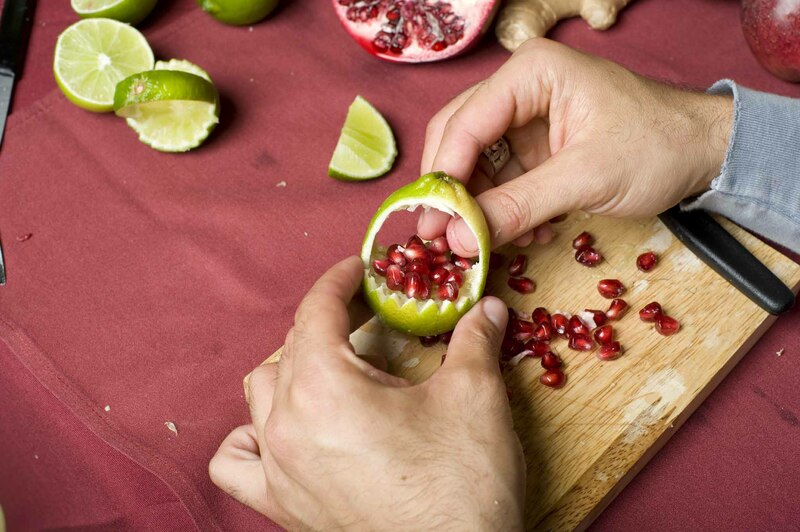 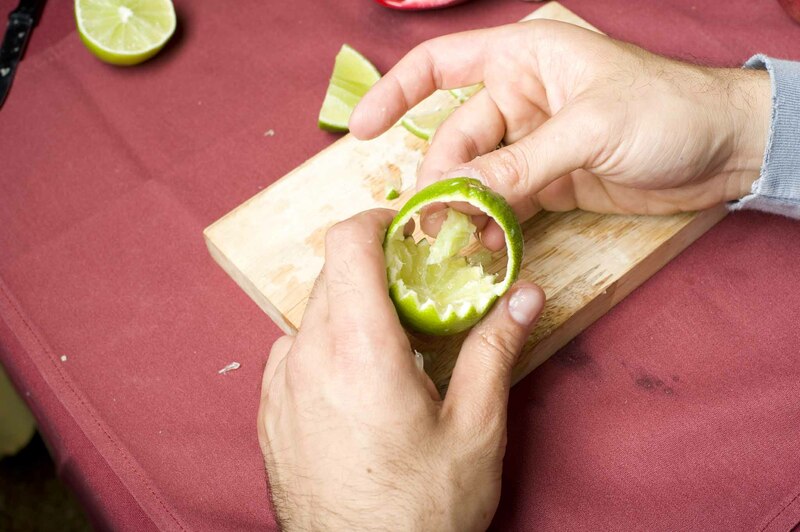 Following the recipe, add The tequila, the triple sec, the fresh pomegranate, and the juice of two limes.